Published in An Cosantóir on June 1, 2011. 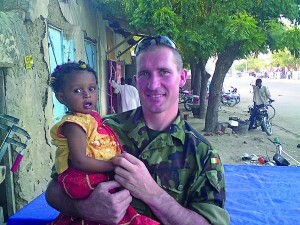 It requires stamina, true grit and sheer determination to take on a gruelling 12-day, 3,000-mile journey on a bicycle, but that is exactly what 39-year-old, former corporal, Donncha Cuttriss has been training for every day since he left the Defence Forces in January. 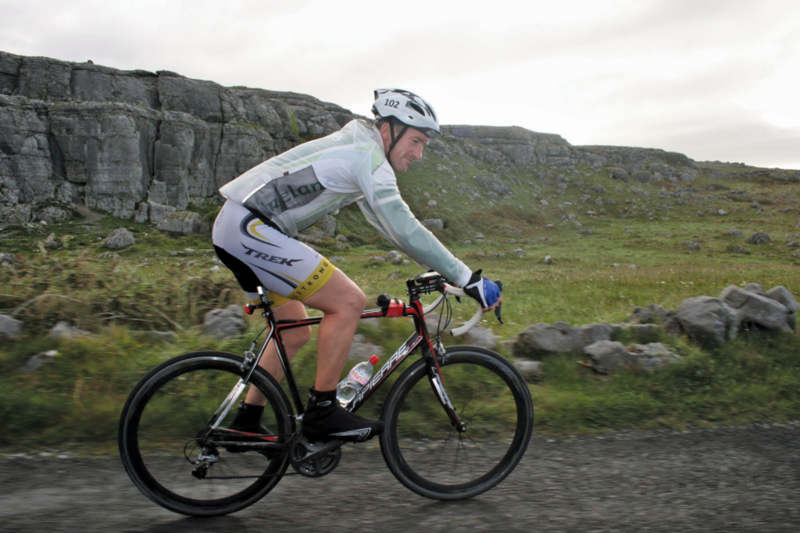 His goal is to be the first Irishman to participate as a solo competitor in the Race Across America (RAAM), widely recognised as ‘the world’s toughest cycle race’. The race starts in Oceanside, California, and ends in Anapolis, Maryland, passing through Arizona, Utah, Colorado, Kansas, Missouri, Illinois, Indiana, Ohio, West Virginia and Pennsylvania on the way, and climbing to 10,849ft at its highest point. 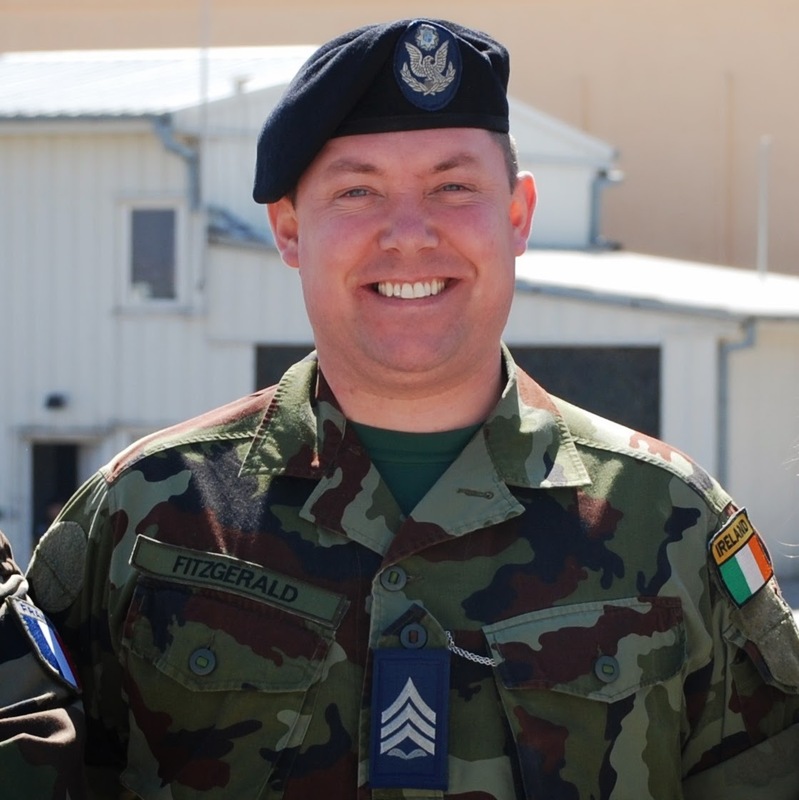 When Donncha left the Defence Forces in January 2011 he had completed 21 years service, during which he had served in 1 Fd CIS, the DFTC, and 1 Fd Engr Coy. He also had 10 trips overseas to missions in Lebanon, Eritrea, Liberia and Chad. He credits his military service with equipping him with the necessary attitude and skills required when training for a challenge such as the RAAM. 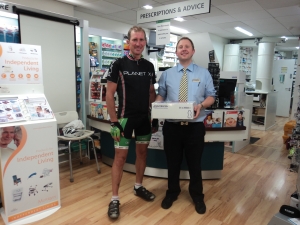 Donncha must average 22 hours cycling a day to achieve the fitness and stamina levels needed to compete in the race. He has already completed 24- and 30-hour cycles with his crew, and his training continues. He departed for the US on May 16th to complete his last month’s training before the big race starts on June 15th. On the day the race starts RTÉ are to broadcast a documentary on Donncha’s training and preparations for the race. Using his efforts to raise money for charity is also very important to the Corkman and his chosen charity is the Meath-based Aisling Group International, founded in 1988 by Marie Byrne, which provides help and information for people in relation to drugs and alcohol misuse. The Aisling Group’s domestic and international charity work received deserved recognition in 2008 when it was presented with an All Islands Special Endeavour Award by President Mary McAleese. Thankfully, people like Donncha give us mere mortals a chance to help worthwhile charities the easy way, by ‘donating a little to help a lot’. Fundraising was launched 2 months ago by Cork’s Lord Mayor Michael O’Connell where Donncha was accorded a Civic Reception. 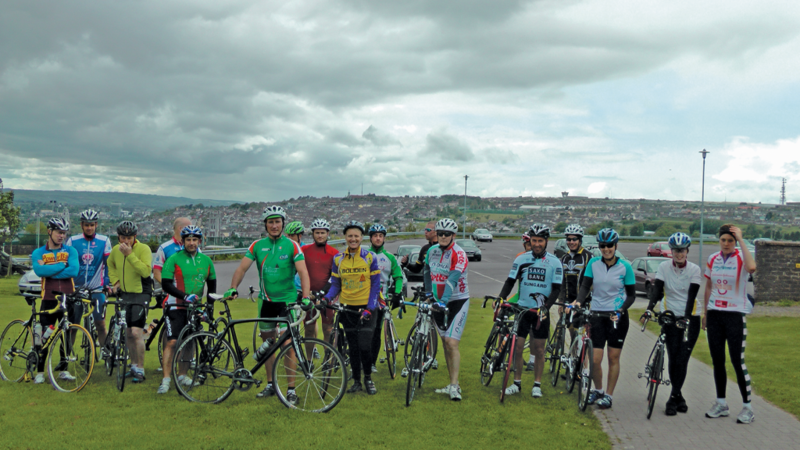 In one event Donncha’s friends organised a 25km charity cycle through Cork City, setting out from Collins Bks and stopping off at the Elm Tree Bar & Restaurant in Glounthane for light refreshments. The Elm Tree is owned by Capper’s old schoolmate and lifelong friend Derek Walshe who generously donated €3,000 towards Donncha’s costs for the RAAM, which are estimated at €20,000. Everything received above that amount will go to the Aisling Group. Donncha’s bike worth €6,000 was sponsored by www.cyclesuperstore.ie in Dublin. Another of Donncha’s old school friends, Sgmn Darren O’Connell (1 Fd CIS), also deserves special mention for his enthusiastic support for Capper’s efforts. Anyone wishing to donate to Donncha’s venture can do so through the ‘Donate’ section of the Aisling Group’s website, www.aislinggroupinternational.ie or ring 046-9074300. You can follow Donncha on his journey by visiting blog www.donnchacuttrissraam2011.com.